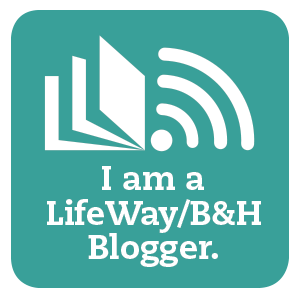 Life's hum-drum and lack of center on plans and schedules and obligations (#balance) left even my time with the Lord each day wanting. I needed that fill-up but the bumps of the road had knocked me out of place. I never struggled so much with center, as a matter of fact, I have the most beautiful memories of my quiet times before our travels. How do I get it back, that peace which settles like a warm blanket when His presence is all around. That innocence of heart and being, that trust of eternal hope.... how? I need to go back to where I had it last, where I felt it most, and how I did it best. But how? It stared up at me, first in a divine moment of flipping through small group schedules and then from the soft glow of an Amazon listing in my computer screen. I don't need a faith dare, I live the faith dare... was my first (I will admit) not so humble response. New Christians need faith dares. Christians who lost their way need faith dares. But not ministry workers, missional livers, mommy bloggers, Bible study teachers... I got this. That still small voice whispered so tenderly, you need this Amanda. You are never too spiritual for a good faith dare. As a matter of fact, I became acutely aware of the areas my spiritual life had gotten lazy and/or dusty of late. Areas where a faith dare was just what the Doctor ordered! Sure I might know some of this stuff... I may even live a lot of it. But do I appreciate the root of it the way I use to? Have I taken the how and why of my faith for granted lately? In deed, in some areas, I had. Faith boosters are good for everyone, no matter where they are. And right now, I needed one bad! Those aren't just words on a page, they are TRUTHS from the Word of God. Truths which remind me of how amazingly blessed I am if, for no other reason, I am His chosen. Mountains may crumble, skies may fall, but I am still blessed. And even when I go through a valley of sorrow I can make it a place of springs with early rain. Do I DARE remember this, believe this, LIVE this? So many times I have read Psalm 84, so many times I forget. Many of the psalms and scriptures echo this beautiful sentiment of dwelling with God - and God dwelling with us and of the wonderful blessings which result. The Faith Dare is reminding me of where my faith dared to go years before when I fumbled through understanding Him and His Word. His Word is so deep, so simple yet complex, I should never loose site or humility and the splendor of it all. Life hardens, heart hardens, hope hardens when we do. The Faith Dare has also reminded me of that and the art of life which blossoms and grows when we dare to remember the roots of our faith again. 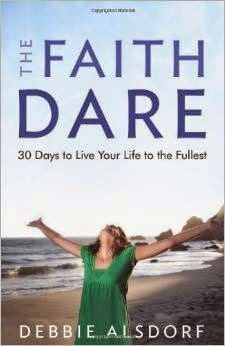 Join me in the Faith Dare, get your copy today. Whether you are a new Christian, an old one... whether you are struggling right now or skating through life just fine... perhaps you feel that small spark or need to re-set or re-senter, even if only in a small way.... or a BIG one!! If you decided to Faith Dare, be sure to let me know either below or on Facebook, I would love to share this journey with you! May you find the roots of your faith nourished as you dare to live in His presence! 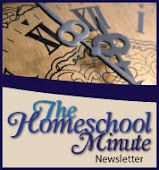 .... if you would like to participate in a link-up party on this topic, message me here or on Facebook. If there is enough interest, I would be delighted to host some events!